Only a few years ago, a fashion blogger was a just a girl with a camera, a keen eye, and her own unique style perspective. 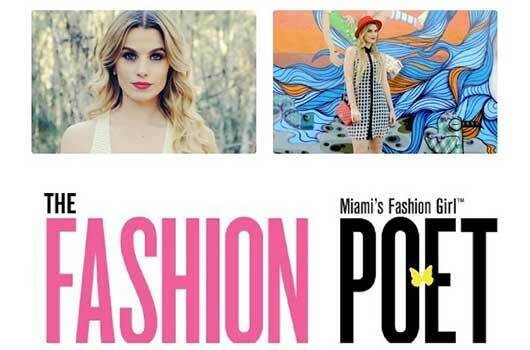 Today, the most popular bloggers wield considerable influence in the fashion industry. As bloggers garner greater notoriety and start to make big bucks, every budding fashionista and aspiring stylist is clamoring to get her blog to the top of the heap. For those of you who appreciate the real-world accessibility that give blogs an edge over glossy, model-filled mags—but are feeling a bit lost in the blog deluge—we’ve compiled our list of 10 must-follow Latina fashion bloggers. For the cutting edge couture enthusiast, to the mom-on-the-go, and for all you curvalicious ladies—these tastemakers are the ones to watch. This is a great list! I’ve enjoyed Annie Vazquez’ site for a while.